At The Dental Gallery, our highly skilled team of dentists provide a range of oral surgery treatments, such as extractions, including wisdom teeth. The removal of a tooth may be necessary if it is severely decayed, broken or cracked. Our dentists have gained a wealth of experience in oral surgery procedures and can perform surgical, as well as non surgical, extraction procedures, in a safe and skilled manner. Many patients are referred to us for the assessment, or removal, of wisdom teeth; alternatively, patients can book appointments directly themselves. Impacted wisdom teeth may be caused by overcrowding of teeth in the mouth or other complications associated with the growth of adult teeth. 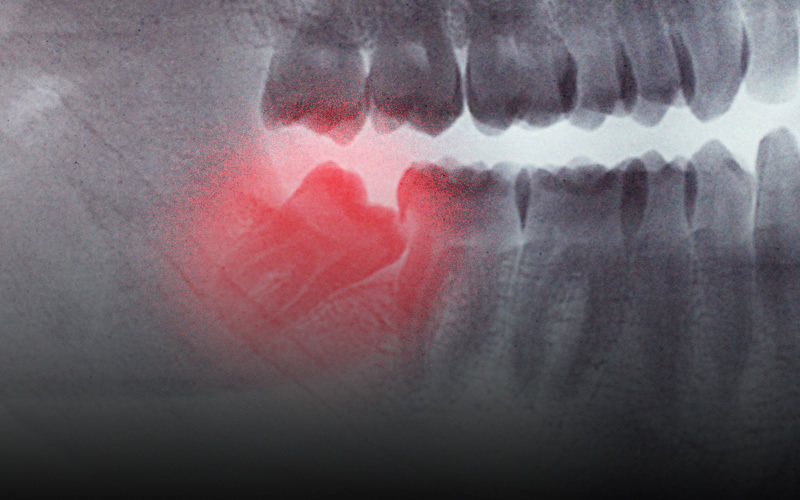 Impacted or partially erupted wisdom teeth can sometimes cause infection in the gum, resulting in pain, swelling and discomfort, and may therefore need to be extracted. During your consultation, following a thorough assessment, our dentist will explain all your treatment options, and will identify whether, or not, the removal of your tooth is the best course of treatment. A local anaesthetic is usually offered for a tooth extraction. If you are particularly anxious, however, or if the extraction is deemed to be difficult, you will be offered conscious sedation, which will be carried out by our specialist anaesthetist.